Currently living in Stoughton, Massachusetts, I provide instruction in voice and piano from my private studio here in town, while also working as a Music Director for Wellesley Theater Project and repertoire coach at the Walnut Hill School for the Arts. I am an active member of the National Association of Teachers of Singing, serving as Board Treasurer for the Boston Chapter. I also hold memberships with the Music Teachers National Association and the American Guild of Organists. Additionally, I stay involved in the local community by serving on the Stoughton Cultural Council and as organist for the First United Methodist Church. I previously spent thirteen years in Bloomington, Indiana, where I attended the Indiana University Jacobs School of Music as a piano performance major in the studio of Edmund Battersby. I also studied conducting, privately, with the late Thomas Dunn. I took the “scenic route” to graduation, completing my B.A. in Music in the spring of 2007. 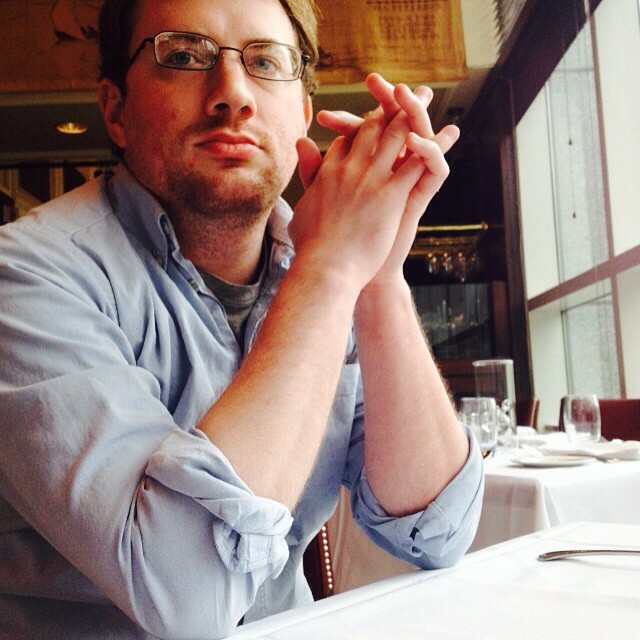 My husband, Alexander, then decided stay at IU to pursue his Ph.D. — which meant I got to continue being a part of Bloomington’s incredible performing arts community. During that time, in addition to accompanying music students in every possible studio I could, I was engaged to collaborate on a variety of classes — including the Musical Theatre Workshop in the Department of Theatre, Drama, & Contemporary Dance, taught by Tony-nominated choreographer George Pinney; Sylvia McNair’s Undergraduate Opera Workshop; and IU Ballet Theatre’s production of Who Cares?, under the guest direction of Balanchine protegé Merrill Ashley. I also had the privilege of conducting a portion of renowned soprano Carol Vaness’s Graduate Opera Workshop. Off-campus, I stayed busy as a music-director-for-hire, collaborating with a wide range of organizations, such as Cardinal Stage Company, Stages Bloomington, Bloomington Music Works, Brown County Playhouse, Monroe County Civic Theater, and the Bloomington Playwrights Project (BPP). It was at the BPP that I had the unique opportunity to participate in the development of new musicals. I was also a key player in the BPP’s educational programs, leading its summer musical day-camp — the Youth Musical Theater Ensemble — for six years. 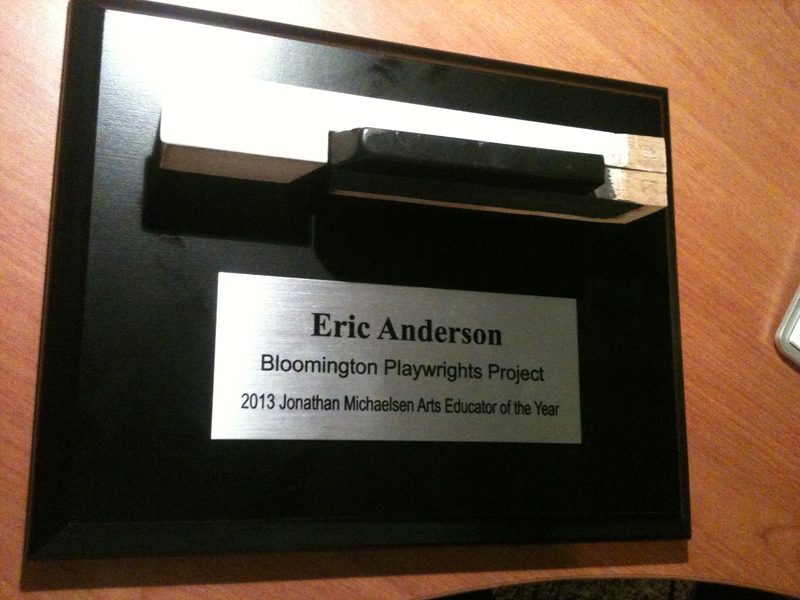 And, in September of 2013, the BPP honored me with their Arts Educator of the Year Award. For a couple of years, I tried my hand at putting on shows under my own name. This resulted in fully staged productions of Kurt Weill’s chamber opera, Down in the Valley; new musicals VOTE! (which appeared at the NYFringe Festival later that year) and Perez Hilton Saves the Universe (or at least the Greater Los Angeles area); as well as cabaret-style performances of Kooman & Dimond’s Homemade Fusion and Pasek & Paul’s Edges. I then put my producing experience to work as a board member for Monroe County Civic Theater, Bloomington’s only all-volunteer, amateur theatre troupe. Serving for two-and-a-half years — first as Treasurer, then President — I did some of my most meaningful work with this group of dedicated theatre-lovers, resulting in successful productions of Working, Urinetown, and A Midsummer Night’s Dream, which was done outdoors as part of MCCT’s annual Shakespeare in the Park. In the summer of 2014, to celebrate Shakespeare in the Park’s 25th anniversary, I organized and led a week-long festival during which over a hundred local volunteers gathered to read the complete plays of Shakespeare in just eight days. Now that Alexander has his Ph.D. and a research position with the Harvard Medical School, we find ourselves in the Greater Boston area, and I’m loving the chance to discover all the new opportunities and avenues that are suddenly open to me. In addition to the teaching, I’ve also dabbled a bit as a playwright — my first ten-minute play was performed in December 2014 by the OpenTheatre Project — and have been reconnecting with my roots as a classical musician. I also collaborate regularly with the Noyes School of Rhythm, with occasional side-hustles at Boston Conservatory and the American Repertory Theatre. It’s an exciting time, and I’m trying to make the most of it!